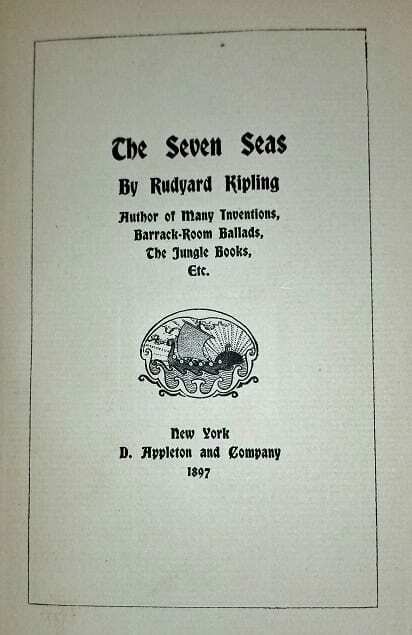 The Seven Seas by Kipling 1st Edition. 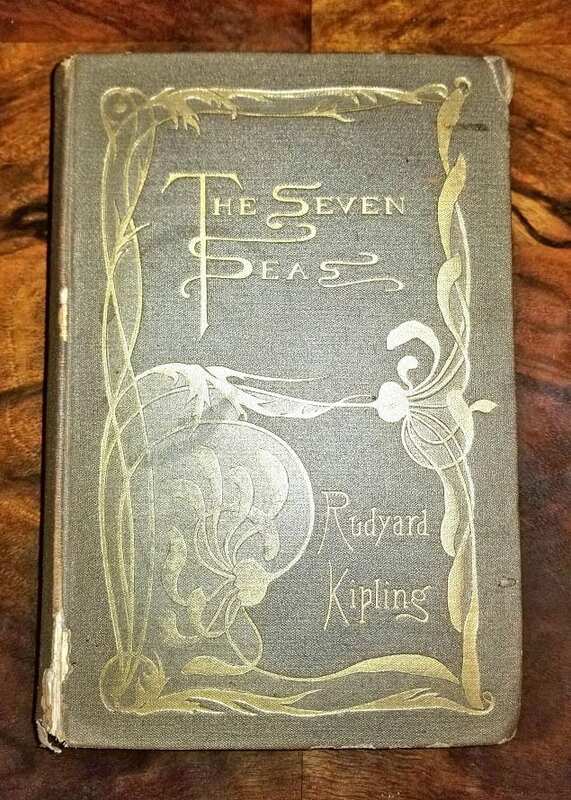 PRESENTING AN EXTREMELY RARE FIRST EDITION hardback copy of The Seven Seas by Rudyard Kipling from 1897. This RARE book is in very Good condition for its age….. some very minor ‘knicks’ on the edges of the hardcover and spine. No dust jacket. 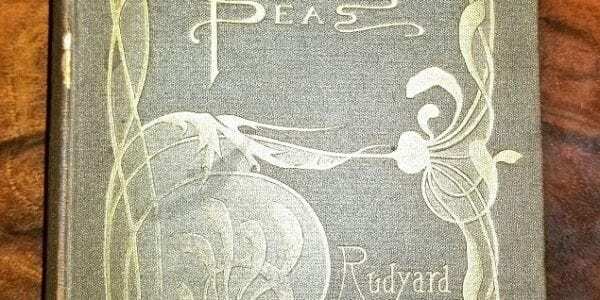 The Art Nouveau designed Olive Green cloth cover and gilt work, is still ‘pretty good’ for it’s age. 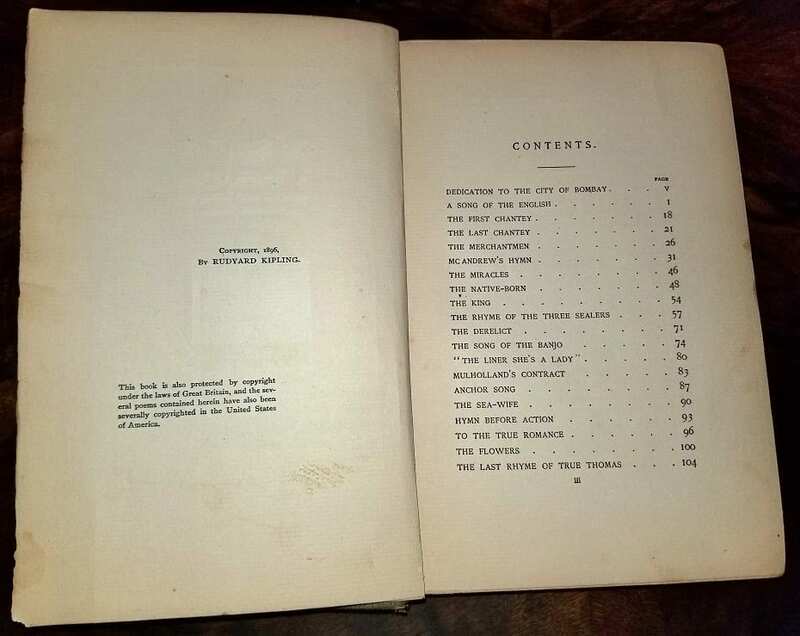 The book is a FIRST EDITION ….. stating that it was published in 1897…….BUT what makes this copy even RARER is the fact that it also has the copyright date 1896. From our research the First Edition was first printed from circa Sept/October 1896….so this printing ‘spilled over’ into 1897. 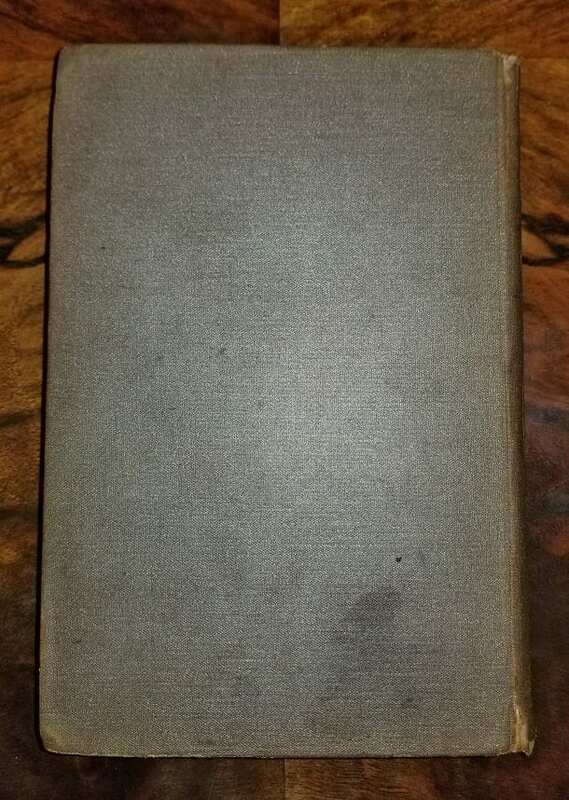 The olive green and gilt version of this First Edition is the MOST SOUGHT AFTER!! 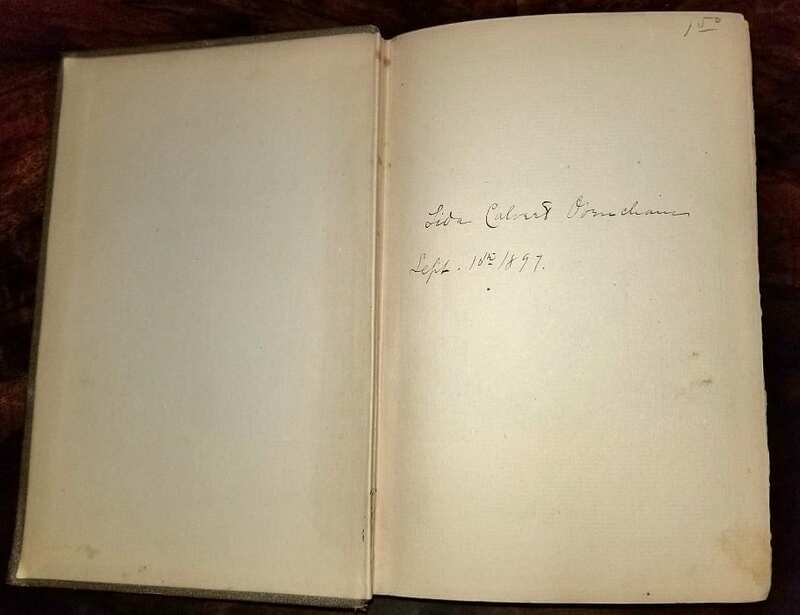 AS AN ADDED BONUS.....the Book comes with an additional signature on the inside of the front cover (1st Page) namely the signature of the book's original owner, Lida Calvert Obenchain and dated September 10th 1897. Lida was HERSELF a famous Author at that time. (See our PDF on this Collection). 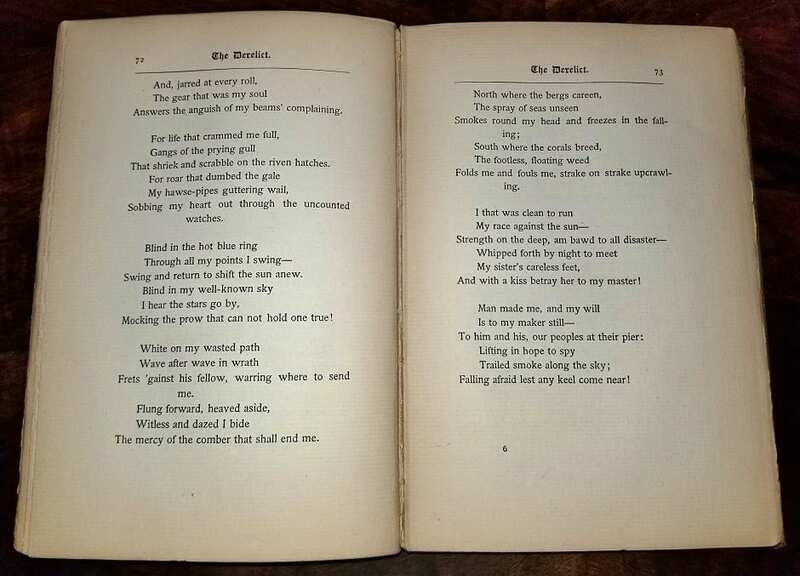 Kipling was one of the most popular writers in the United Kingdom, in both prose and verse, in the late 19th and early 20th centuries. Henry James said: "Kipling strikes me personally as the most complete man of genius, as distinct from fine intelligence, that I have ever known." In 1907, at the age of 42, he was awarded the Nobel Prize in Literature, making him the first English-language writer to receive the prize and its youngest recipient to date.He was also sounded out for the British Poet Laureateship and on several occasions for a knighthood, both of which he declined. YOU WILL NOT FIND THIS EXACT BOOK ANYWHERE ELSE!! A RARE FIRST EDITION OF A FAMOUS BOOK OWNED AND SIGNED BY ANOTHER PROMINENT CONTEMPORARY AUTHOR! 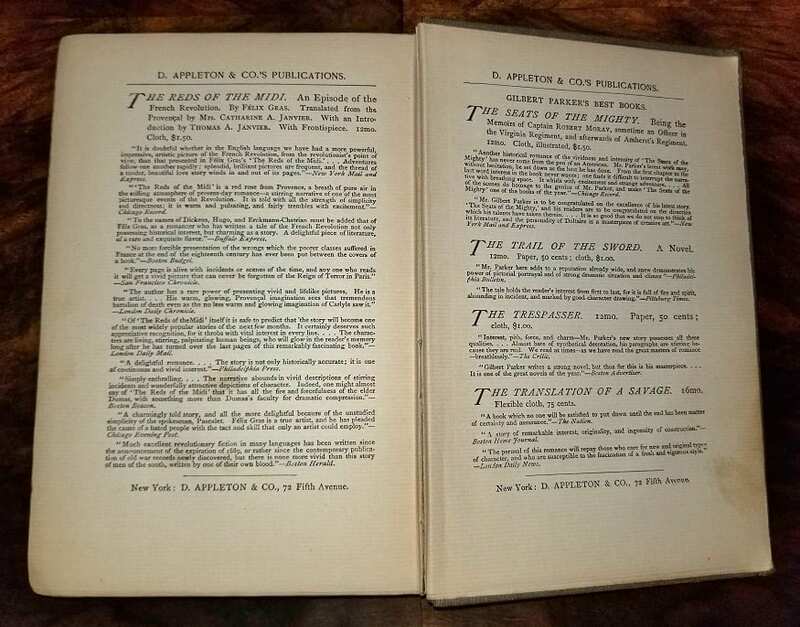 The Book was published by D. Appleton and Company, New York in 1897.....but the First Edition was copyrighted in late 1896.